Last Friday, the Mesa Chamber Ambassadors participated in the ribbon cutting ceremony for Cucina di Vita Italian Deli located at 142 W Main in Downtown Mesa. Among the attendees were Charlie Deaton, President/CEO of the Mesa Chamber, Mesa Mayor Scott Smith, Vice Mayor Kyle Jones and Downtown Mesa Association Freddy Curry. 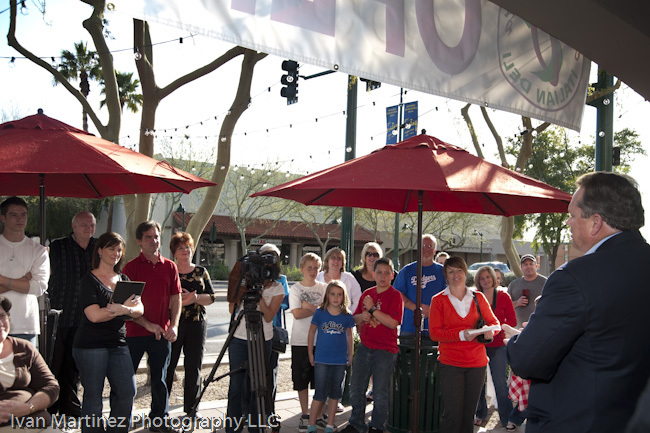 Below is a selection of images for the ribbon cutting and grand opening event. Additional images can be found here.